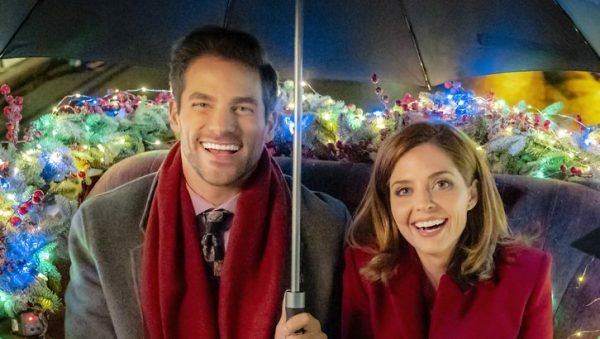 Hallmark Channel’s Countdown to Christmas movie, Mingle all the Way, airs tonight at 8pm/7c. It stars Jen Lilley, Brant Daugherty, and Lindsay Wagner. 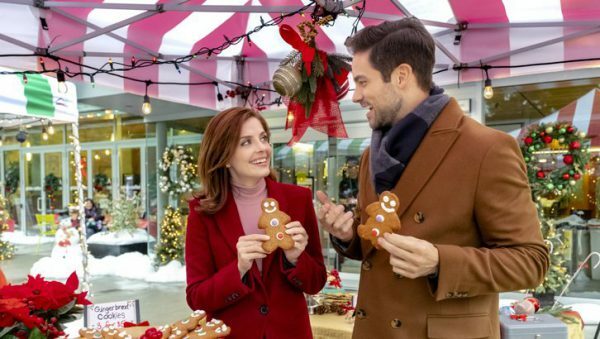 This photo shows our stars enjoying a gingerbread cookie, but since I have already posted decorated gingerbread cookies for a previous Hallmark movie, let’s try something a little different but still gingerbread. 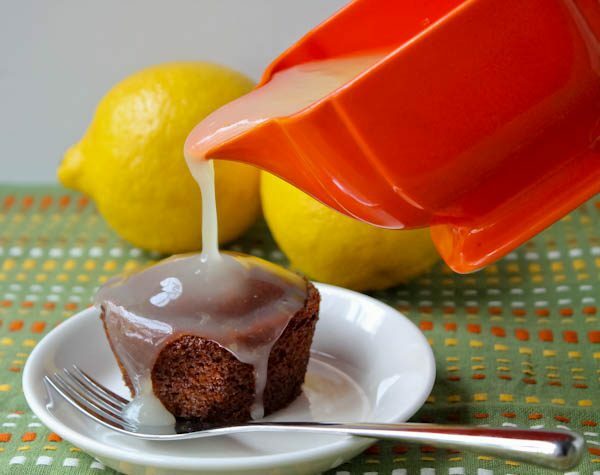 How about Spicy Gingerbread Cupcakes with Lemon Sauce? Yummy.. These luscious little cakes are not served like a frosted cupcake. These are served right from the oven with a warm lemon sauce drizzled over the top. A festive dessert for cold weather, and a perfect way to end a holiday meal. 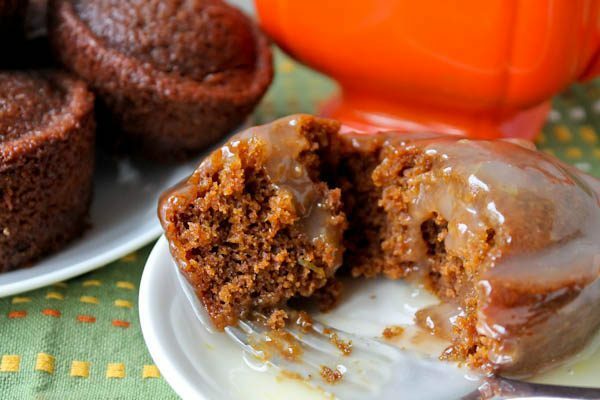 The cakes are rich with molasses and brown sugar, and fragrant with cinnamon, nutmeg, and ginger. The warm lemon sauce uses both the rind and juice. The combination is heavenly. You can find the recipe here. (Scroll down way to the bottom of the recipe page). Enjoy tonight’s movie. I hear it’s romantic and might involve mistletoe.